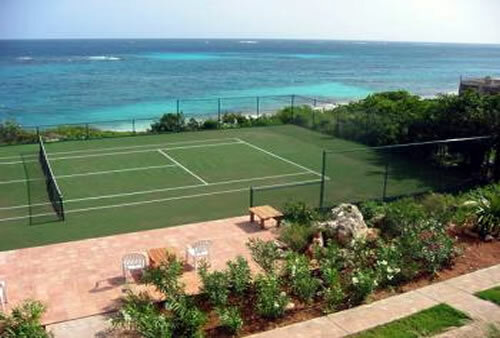 Beach Court Villa is located in Shoal Bay East, and is a 10,000 square foot luxury villa with swimming pool and tennis court on sloped land that goes directly to the western end of Shoal Bay. 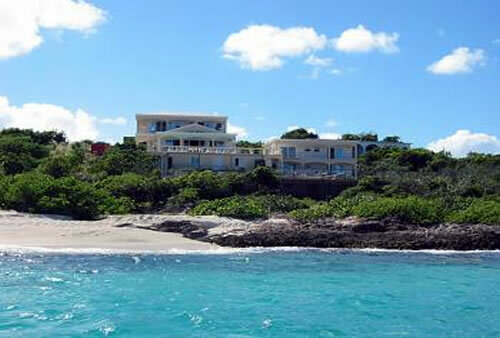 It is one of the very few houses on all of Shoal Bay whose property brings you right to the sand. Built on a hill, the house sits about 40 feet above the water, maximizing views and breezes. 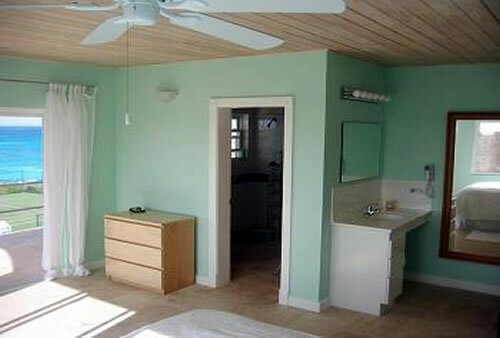 Yet as you sit on its spacious decks you are a short walk from the magnificence of Shoal Bay, great for walking or snorkeling (enter the sea right in front of the house for some of the finest snorkeling you will ever experience). 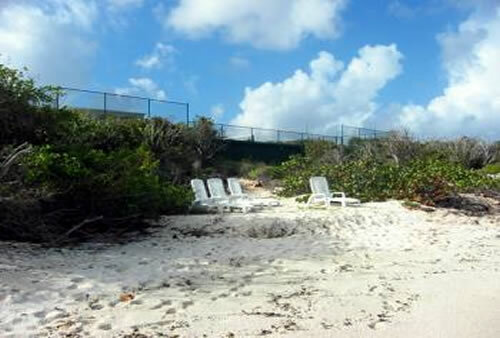 Go through the lush gardens, past the tennis court, to the water; turn right, and over 1-1/2 miles of beach lay before you. 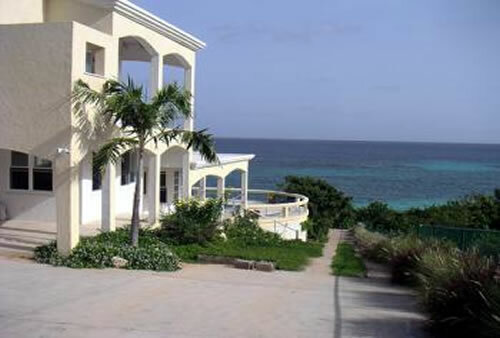 Swimming, snorkeling, and leisurely walks are all right outside the gate that insures your privacy (and keeps out the goats). 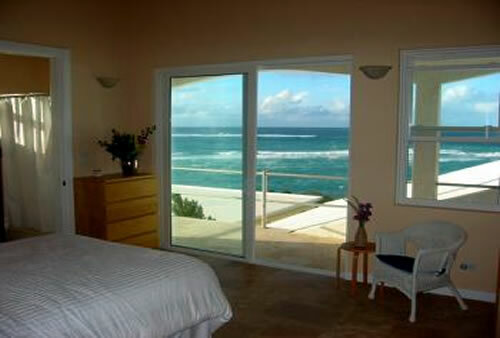 The open plan kitchen, living room, and dining area is terraced below the grand entrance foyer and overlooks Shoal Bay. 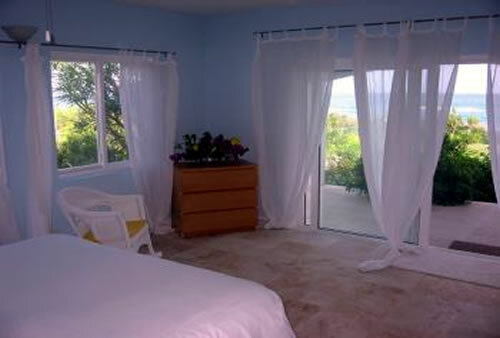 On one side of this room are sliding glass doors that open onto an expansive covered 600 square foot deck, above the swimming pool, tennis court, and sea. The living room features a full home theater (wall-mounted flat screen TV with satellite and cable, along with DVD and iPod dock) surrounded by plush, brightly upholstered Thai furniture. Perfect for reading (and napping). 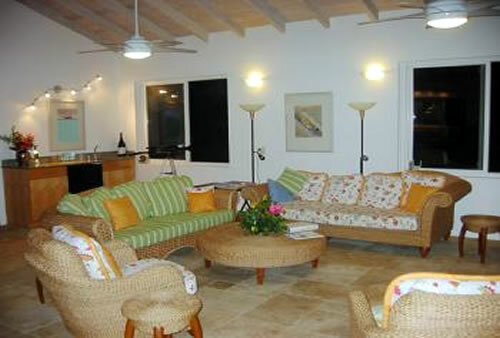 The interior dining area accommodates more people than the villa holds (with dishes and place settings for many more). Or, enjoy your meals on the spacious deck, just a few feet away. The great room has its own granite-topped wet bar with refrigerator and ice-maker. The kitchen is for people who love to cook and love to eat: over 30 feet of "L-shaped" granite counters hold two double-bowl sinks, dishwasher and cabinets, all beneath soaring bleached wood ceilings. 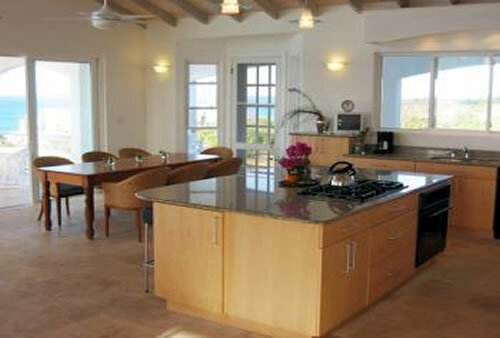 A separate island has a five-burner cook top and oven. 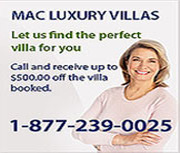 Professional equipment includes: Cuisinart food processor; electric hand-mixer; blender; coffee makers; and all manner of pots, pans, work bowls, knives, whisks, spatulas - everything for the avid chef or the first one up to make coffee. 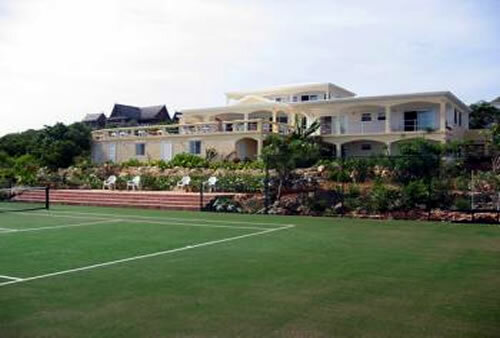 The main house has three open, easily accessed levels. 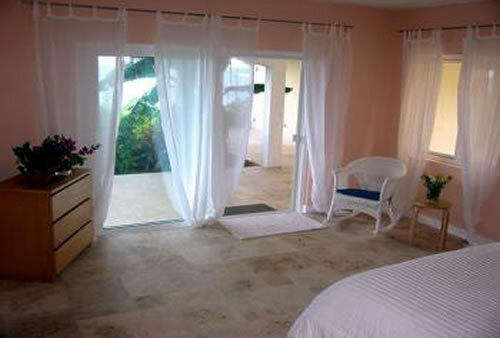 Two master bedrooms with air conditioning are upstairs. An air conditioned study and laundry room are off of the entrance foyer, and a wide staircase creates a dramatic entry to the open plan living area. 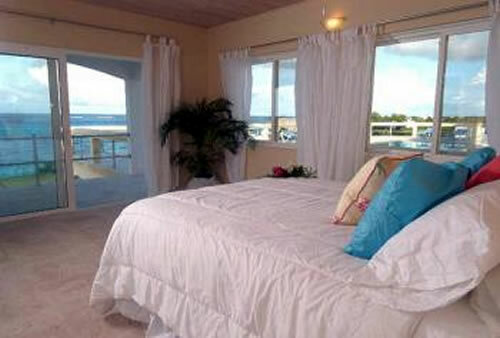 A separate 2-story wing (joined to the main house via the large pool deck) houses 4 bedrooms, which share 2 bathrooms. 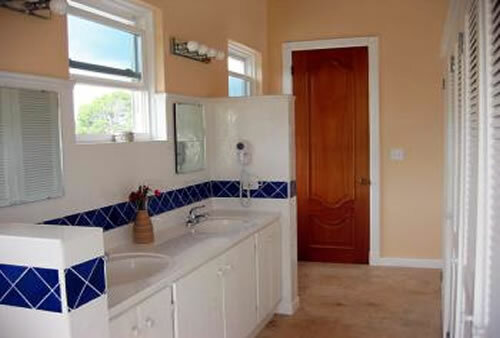 Each of these bedrooms has a marble vanity with sink. The wing also has a kitchenette, for early morning coffee or a late evening drink. All four bedrooms are now air conditioned. 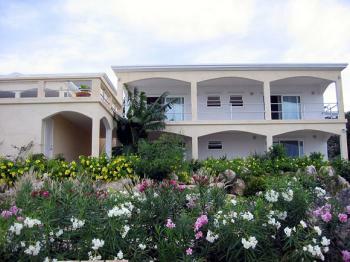 This villa is perfect for several couples, or a large family get-together. 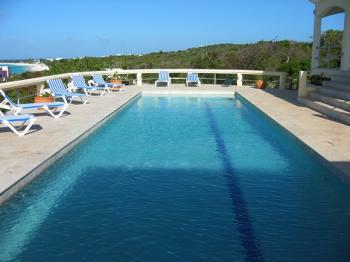 Spend time on one of the world's great beaches in one of Anguilla's great villas... Beach Court Villa.